Learn how Lending Club grew from a small Facebook app to a platform that has originated over $30 billion worth of loans and growing. Lending Club is among the biggest peer-to-peer (P2P) lending platforms around today. It is not a traditional lender like a bank with personal loans. Instead it works similarly to many crowdfunding websites you're probably familiar with, like Kickstarter. Lending Club matches up borrowers and investors. Investors don't need to satisfy entire loans on their own and can contribute as little as $25 for a share in a larger loan. This way, the risk gets spread across many investors. Borrowers can get their money fast with just a quick application, while also getting fair interest rates. It's definitely a great platform that provides a win-win opportunity for everyone involved. More than its business model, Lending Club also had a few other tricks up its sleeve that contributed to its success which we'll discuss later on. The company has indeed seen lows and lofty highs since it entered the business scene in 2006. Here is how the unconventional business got started. Lending Club is a company that started with humble beginnings. It was founded in 2006 by Renaud Laplanche, and then launched in 2007 as one of the first Facebook applications. Laplanche got the idea of the company's business model when he realized that there was a lot of money to be made in loans, that's why the banks are in it. Banks were essentially the middlemen who are mainly profiting from other people's money. When he was approaching banks for funding for his first startup, he recognized private individuals, (like friends and family who heard about his struggle with the banks' loan terms), who had funds to spare and were willing to lend to him to get his company off the ground. With a bit of luck and a lot of elbow grease, Laplanche made Lending Club one of the first peer-to-peer lending platforms that allowed borrowers to request unsecured personal loans straight from individual investors. Within the same year of its Facebook launch, Lending Club was able to raise $10.26 million in a Series A funding round, with support from investors Canaan Partners and Norwest Venture Partners. This financial backing allowed Lending Club to finally develop into a full-scale, peer-to-peer lending company. It was the first P2P lender to register its offerings as securities with the Securities and Exchange Commission (SEC). Lending Club is now the world's largest peer-to-peer lending platform. It has issued over $33 billion in loans to date, and currently has a market cap of about $1.3 billion. Funds from the company have helped with 2,400 weddings, 121,000 home improvement projects, and 13,500 vacations, according to a Lending Club spokesperson. The platform has also delivered $337 million to small businesses. They use the money for purchasing new inventory, working capital, expanding their businesses. Or simply to consolidate their debt. Every successful company has gone through challenges and Lending Club is no different. The company went through a scandal in 2016 that led to the resignation of the company's founder and former CEO. Three of the firm's other managers also were fired or resigned in relation to internal discrepancies. In April 2016, an employee at Lending Club reported that the dates on approximately $3 million of the company's loans appeared to have been altered. The company's internal auditor consulted with an outside firm to investigate. The investigation found additional problems with Lending Club's loans. This included $22 million worth of loans sold to the Jefferies investment bank. These loans did not meet the bank's investment criteria, and Lending Club ended up buying the loans back from the bank and reselling them. The New York Times and Wall Street Journal both reported on an investigation into the company. The investigation found CEO Laplanche had not disclosed that he owned part of an investment fund that Lending Club was considering purchasing. Class action lawsuits have also been commenced against the company by The Law Offices of Vincent Wong and Levi & Korsinsky LLP. They allege that Lending Club issued materially false and misleading statements. These included the statement that consumers would receive a loan with "no hidden fees." They also claim that Lending Club did not comply with legislation that would have subjected Lending Club's practices to a heightened level of regulatory scrutiny by the Federal Trade Commission (FTC). On April 25, 2018, the FTC issued a press release alleging that Lending Club violated both the FTC Act and the Gramm-Leach-Bliley Act by falsely promising customers a loan without hidden fees. It has also allegedly failed to provide customers with a clear privacy notice. Lending Club has already paid a $2 million settlement over unlicensed loan servicing and small loan lending in Massachusetts. But don't panic. I understand that all of the points above about some of Lending Club's more shady practices can be scary to read. 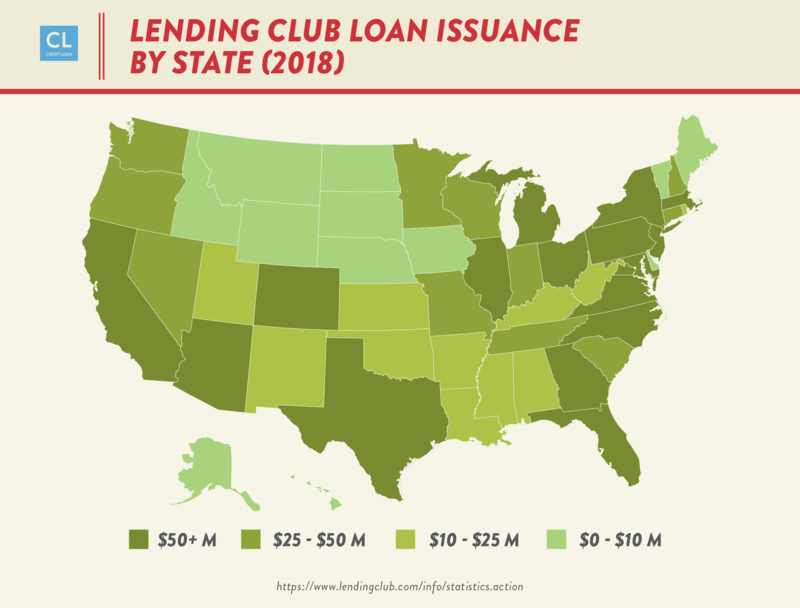 Despite all the bad news, Lending Club is still the market leader when it comes to peer-to-peer loans. Sure, people will miss Renaud Laplanche. But he isn't the first finance CEO to resign and won't be the last. Lending Club grew to the world's largest P2P lending platform because of a few critical decisions made early on: making things easy, offering protection, and going hybrid. The Lending Club loan application process is faster and easier than requesting a loan through a traditional bank. That's a critical advantage that puts the company into its own category. There aren't any long and complicated forms to fill out. You don’t need to meet face-to-face with a loan officer or wait days and weeks for your loan to get approved. If you decide to accept the loan offer, you'll start to see people investing in your loan right away. Funding happens quickly, and the money goes straight into your bank account. Lending Club also offers automated buying and selling of loans. Say you're an investor who wants to invest in loans through Lending Club. You have the option of opening an account and manually building your portfolio. To do this, you need to diversify your loans by putting as little into $25 into different loans. If you have thousands to invest, this creates hundreds of tiny investments for you to manage. Doesn't sound appealing, right? Thankfully there's LendingRobot, a tool that automatically lists, prices, and reprices loans made on the platform. It's a new tool from Lending Club that automatically lists, prices, and reprices loans made on the platform. It also reinvests your income into loans with the highest potential return available on Lending Club at any given time. That means you no longer need to go to the Lending Club website and sift through thousands of different notes. You don't have to check all the investments you want to sell one by one anymore either. And of course, previously you would've had to price all of those loans on your own. The fact that Lending Club is an online-only marketplace helps keep its business costs down. The company has a very low overhead cost compared to traditional banks who need to spend more for the upkeep and employees' salaries of multiple physical locations. It is then able to pass a good chunk of these savings on to its borrowers and investors. Those savings help customers reduce the cost of existing debt. 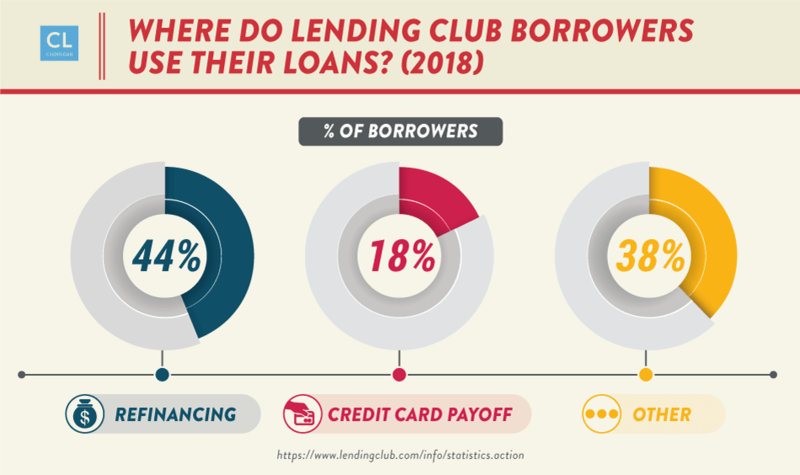 In fact, one of the most popular reasons borrowers use Lending Club is to consolidate existing debt, due to its favorable rates. About 60% of borrowers take out loans for this. On average, they end up paying about 24% less interest than they would have through other means. They also report an average increase of 28 points to their credit score. 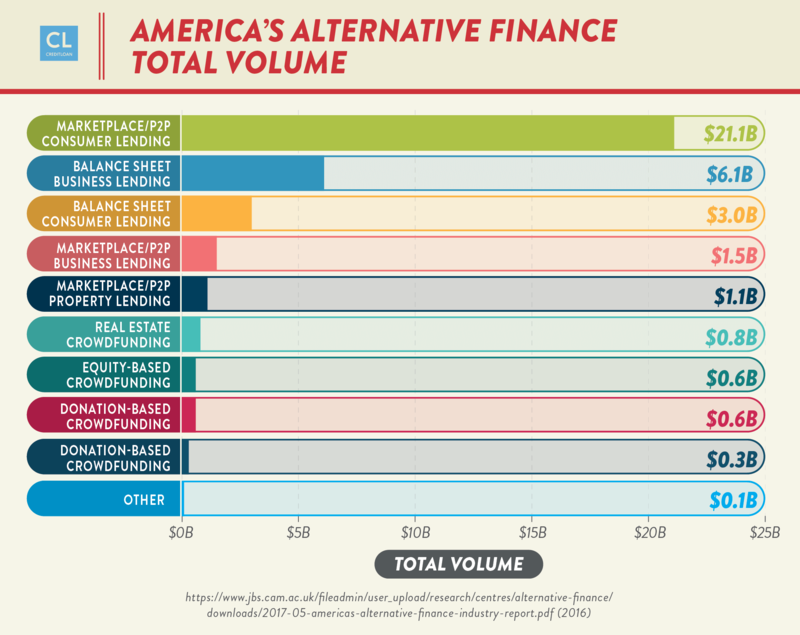 Auto refinancing is another popular use for Lending Club loans. Car owners can save hundreds or thousands of dollars over the life of their loan by using the platform. If your car meets specific age and mileage criteria, you pay no origination or application fees to Lending Club. Borrowers can take out unsecured loans which are paid back between 3 and 5 years. This presents a risk for lenders and to manage that, Lending Club created a grading system. Using information like your income, credit score, and debt-to-income ratio Lending Club decides if you're creditworthy. Then it assigns a credit grade once you get approved for a loan. Your credit grade decides what your payable interest rate and fees will be. Every online loan application through Lending Club gets evaluated and gets assigned a risk grade based on the points I listed above. There is a range of grades that a loan request can receive. The highest grade available on Lending Club is A. The lowest is G.
These grades get broken down even further than this, though. Loans receive further risk-based adjustments and get assigned a number 1 through 5. For example, A1 would receive a more favorable interest rate than A5. A G5 rating is the riskiest loan available on the platform, and has the highest borrowing rate possible as a result. Investors can use this grading to see the level of risk involved with a loan. It provides them with a clear idea of where a borrower falls in terms of their ability to repay a loan. As an investor, you can then take on a high level of risk to get rewarded with more interest. Or you can opt for a safer loan that bears lower interest. Lending Club started out as just a matchmaker. It connected borrowers and lenders through its platform. It didn't originally hold any loans itself. Investors who funded loans and then wanted to resell them at a later point used to be on their own. This meant that Lending Club had little control over how these deals got structured or when they came to market. Investors could sell their loans to third parties or use them as collateral for bonds. This was a big deal since these transactions could affect Lending Club's reputation even though it wasn't directly involved. The company's original model also didn't make use of the firm's balance sheet at all. It relied exclusively on loan sales. This gave investors too much pricing power over loans. Lending Club is now allowing investors to sell their loans back to a securitization trust that the company sponsors. This ensures a level of uniformity to the bond offerings and increases economies of scale for everyone involved. This move also means that Lending Club is assuming some of the risk. By sponsoring its own securitizations, the company is required to hold 5% of the economic risk to satisfy risk retention rules. Whether your business is in the financial industry or not, it doesn't matter. There are some broad points that any company can take away from Lending Club's case study. Take a peek at your current business model and see if any of these points could help you make improvements. Lesson #1. Ease of use for customers should always be at the forefront. It doesn't matter what industry you're in. The business that can eliminate the most complexity and provide the best overall user experience will always gain a competitive edge. Signups should be short and only gather necessary information. If you can automate part of the process, that will definitely help too. Just offering the same thing as your competitor, but making it faster and more accessible is often enough to set you apart. Among your top goals should be to always make your customer's experience as frictionless and effortless as possible. Lesson #2. Don't be too rigid with your business model. Lending club shifted from its original business model. It went from just matching up borrowers and lenders to a hybrid model. In the process, it began to securitize loans in addition to selling them. This was a required step to protect the reputation and integrity of the business. 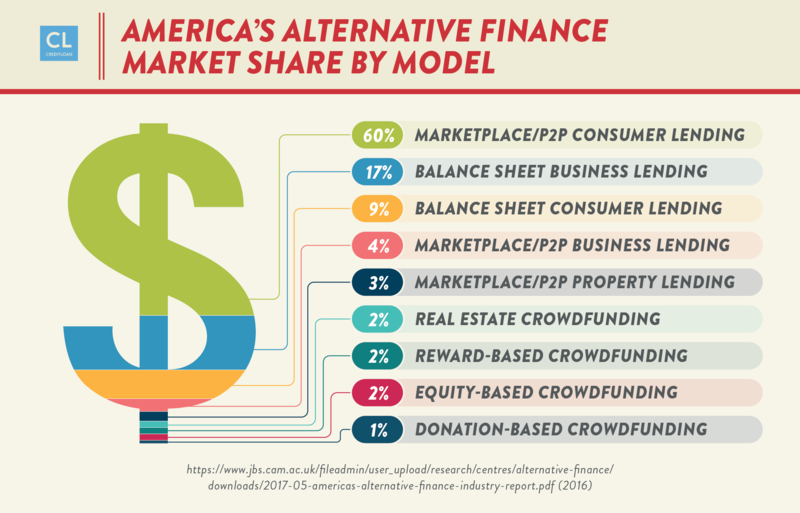 The peer-to-peer model made Lending Club vulnerable to market disruptions. The company also went through a scandal that led to the firing of its CEO and rocked its business. Making the shift to a hybrid model allowed Lending Club to survive. It brought back a level of trust to borrowers and investors who had their confidence shaken by previous news about the company. Lesson #3. Being on the crutch of another platform can serve you for some time, but it can also hold you back. Lending Club began as a Facebook app in 2007. In fact, it was one of the first apps. That didn't help though, and it wasn't until much later that Lending Club turned into a big business. Counting on the social network for users was actually holding the company back, rather than helping. In 2007, Facebook was mostly a place for college students. The people who used Facebook at the time weren't Lending Club's target customers and didn't align with the company's needs. Lending Club had to ultimately wean itself off of Facebook. It had to stop using the platform as a crutch and go out into the world to make a name for itself on its own. Lending Club didn't really achieve any significant level of success until it made the break from Facebook. Lending Club has truly pioneered the peer-to-peer lending industry. Its story shares some key things which resulted in the company's astounding success. Making loans extremely simple and easy for customers made them a great alternative to banks. By ensuring it protected both borrowers and investors, it created an environment where a rich lending market could thrive. By changing to a hybrid business model, it was able to weather the storm that rocked it to its core. Also, by sponsoring its own securitizations, the company was able to regain the confidence of the marketplace and continue not just to survive, but to flourish. Have you ever borrowed or invested money through Lending Club? Share your experience in the comments section below.